As coal plant retirements continue and the energy sector slowly but surely cleans up its act, the transportation sector has moved into position as the country's primary producer of carbon dioxide, which has some serious implications on our ongoing work to reduce overall greenhouse gas emissions. 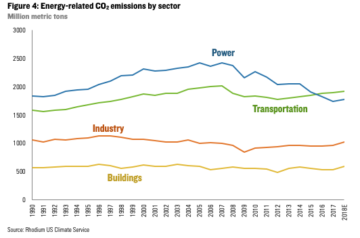 As coal reliance has declined and the energy sector has cleaned up its act over the past few years, transportation has quietly overtaken the power sector as the nation’s highest CO2 emitter, and in 2018 continued the steady climb as the economy grew. Coal plant retirements, which have steadily continued over the past several year, doubled last year over 2017, and although recent reports tell us that U.S. CO2 emissions increased in 2018 over 2017, overall power sector emissions remained at one of the lowest levels in the past 30 years. Petroleum emissions, however, continued to increase, with motor gasoline making up the bulk of this number. 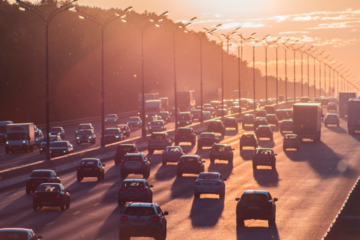 So emissions rose in 2018 along with economic growth, despite our nation’s continued departure from reliance on coal fired power plants, thanks largely to increased emissions from the transportation sector. During years of economic growth, demand for transportation – of goods AND people – spikes. It’s simple: when we have money, we travel more and buy more (which implies shipping increase, especially in these days dominated by online shopping). Trevor Houser, climate & energy analyst at Rhodium Group, explains: “The big takeaway for me is that we haven’t yet successfully decoupled U.S. emissions growth from economic growth,” (as quoted in the NY Times). “Real Personal Income” was higher in 2018 than it has been for years, and Americans enjoyed more disposable income and lower unemployment rates than they have in years. Emissions from the transportation sector rose accordingly. This is why decarbonization of the transportation sector is absolutely critical. If we want to decrease emissions in a stable, successful, fulfilling economic world, transport holds one of the biggest keys to success. 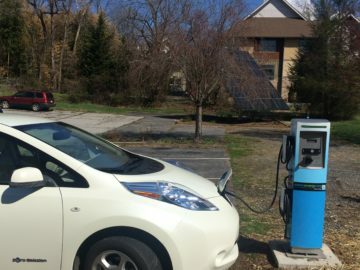 Electric vehicles may be the missing link between a cleaner electric grid and lower overall emissions. As explained in Drawdown, Paul Hawken’s comprehensive guide to the most effective ways to combat climate change, as the grid becomes cleaner by the year, and as the proportion of renewable energy increases, electric vehicles become cleaner as well. This is in stark contrast to gas or diesel vehicles which become less efficient with every passing year. Compared to gasoline-powered vehicles, emissions drop by 50 percent if an EV’s power comes off the conventional grid. If powered by solar energy, carbon dioxide emissions fall by 95 percent. The “fuel” for electric cars is cheaper too. EVs will disrupt auto and oil business models because they are simpler to make, have fewer moving parts, and require little maintenance and no fossil fuels. For over 30 years SACE has been pushing for smart energy choices that save customers money and reduce emissions. We are striving for a system where clean, renewable energy powers our homes, our businesses, and our vehicles. We envision a near future when utilities embrace renewable energy and energy efficiency, and home and business owners have the rights to produce their own sources of electricity. Electric vehicles will play a key role to major carbon emissions reductions by providing the link between clean energy and transport. Read more and find out how you can join us by visiting our website.